Rumour has it that this song is about Joni Mitchell. This is from their first LP. The essential core of Steppenwolf was John Kay, Jerry Edmonton, his brother Dennis Edmonton aka Mars Bonfire and Goldy McJohn - originally Jack London & the Sparrows from Oshawa. Another Sparrow member was Bruce Palmer (Buffalo Springfield). Dennis Eugene McCrohan aka Dennis Edmonton (born 21 April 1943 in Oshawa, Ontario, Canada), also known by the stage name Mars Bonfire, is a Canadian rock musician and songwriter, best known for writing the hit song "Born to Be Wild" for Steppenwolf. Put out 2 solo albums. This was the most stable and longest lived of any configuration of The Byrds, lasting 3 years without personnel changes. February and March 1970, two consecutive New York concert appearances were recorded.for the live disc. 1st of 3 LPs recorded in the 70s. Ted Wesley was born in Abercorn, formerly in Northern Rhodesia, now Zambia, Africa, of Polish refugee parents. At six he moved to England, then at nine he emigrated with his family to Edmonton." first came north at age 16, and went to work for Discovery gold mine north of Yellowknife. "I lied to them, told them I was 18," he says. Now living in Northern Alberta – still performing. Ervan F. "Bud" Coleman (July 7, 1921 – May 26, 1967) played with Alpert and the Baja Marimba Band. 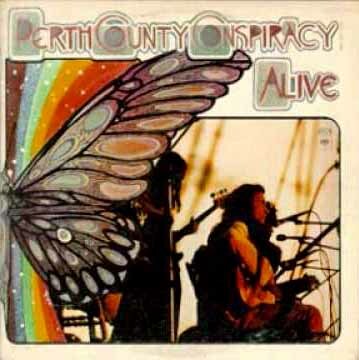 In the mid 1960s through to the late 1970s the Perth County Conspiracy would play nightly at the Black Swan Coffee House in Stratford, Ontario which was run by Harry Finlay. Guest performers at the Black Swan included such people as Brent Titcomb. The performances usually followed after the evening performances at the Stratford Shakespearean Festival Theatre. Oftentimes they would last till almost 4 a.m.
Richard Keelan: not too happy with this album, had to borrow someone’s 12 string after his suffered a broken bridge just before the recording. Keelan now lives in The Junction area of Toronto. Members of the Grammy Awards Hall of Fame. Deep Purple" was published in 1933 as a piano composition. Blackmore suggested a new name for the band: "Deep Purple", named after his grandmother's favourite song. The Beat toured the world with well-known artists such as David Bowie, The Clash, The Police, The Pretenders, R.E.M., The Specials and Talking Heads.